Since 1998 three gas cooled irradiation rigs (BAGIRA 1, 2 and 3) were operational at the Budapest Research Reactor. 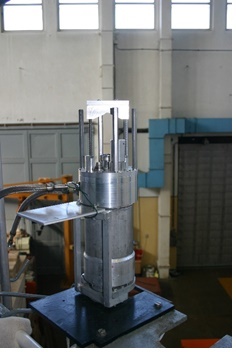 During this time about thirty different irradiation projects were performed, testing irradiation aging of reactor and fusion devices, structural materials, low alloyed and stainless steels, Al, Ti and W alloys and ceramics. Presently the main interest of the nuclear industry is to develop fusion reactors and Generation IV reactors. To increase the efficiency and decrease the impact on the environment, high temperature operation is planned. Consequently, irradiation devices should be capable of high temperature irradiation combined with in pile creep and fatigue testing. In order to meet such requirements, the BAGIRA device has been upgraded. Nowadays, only a few research reactors are operational in Europe. 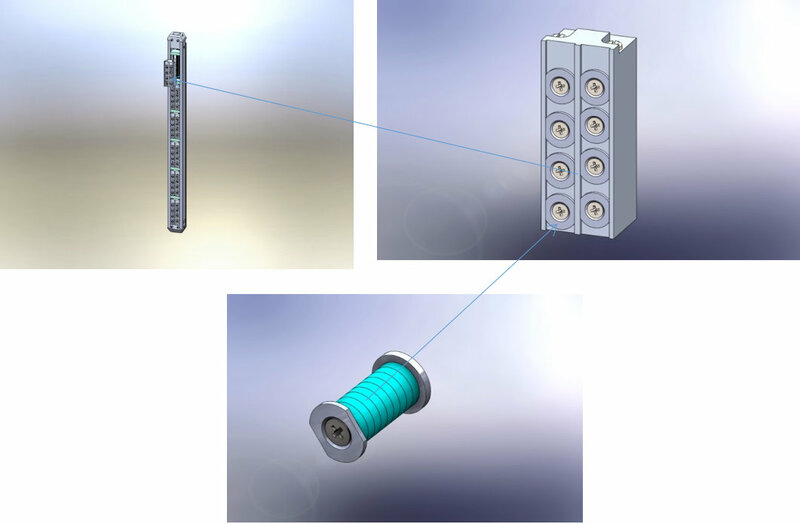 With BAGIRA4, along with the hot laboratory and the existing know-how, BNC is capable to beneficially contribute to international research projects, as well as customized irradiation and post-irradiation studies in cooperation with several institutes and the nuclear power industry worldwide. Rig capacity: 24 Charpy size specimen (appr. 800 gr steel) or similar. Specimen size and shape: variable according to the requirements, only the target sample holder is to be changed. At each of the new six zones, the electric heating can be separately controlled, ensuring the required irradiation temperature within ±5°C. The irradiation temperature can be controlled between 150°-350°C with gamma-irradiation and electric heating and cooling by a He-N2 gas mixture. The maximum fluence rate is 3*1013 n/cm2 E>1MeV (approximately 1.5 dpa/year). The target holder is separated from the thermocouples and the electric heating system. This way the cost of the heating elements and of thermocouples can be decreased, and only a minor quantity of aluminium or titanium material goes into the radioactive waste. BAGIRA4 is ready for operation, the control software has been tested for several hundred hours. The Hungarian National Safety Authority permitted the installation into the reactor. Functional materials, spinel, alumina, diamond and YAG have been irradiated in the framework of the Functional Materials subproject of Eurofusion (European Consortium for the Development of Fusion Energy).